James Kelly, a native of Ireland, is one of the greatest Irish traditional fiddlers alive today. 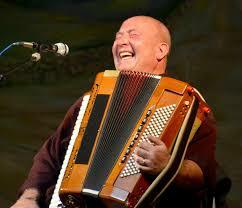 He learned his music from his father John Kelly, the renowned fiddle and concertina player from County Clare. After years of careful study and practice, James began his recording and touring career at age sixteen. That year he won first place in the prestigious "Fiddler of the Year" competition and recorded his first album, a duet with his brother John. Since that time, James has toured Europe, the US, Canada and South America, and was a member of several influential Irish groups, including "Patrick Street" and the legendary folk group "Planxty." He was a presenter of the "Pure Drop" series for Irish TV and has appeared several times with the Grammy award winning Irish group, "The Chieftains." In recent years he received the prestigious "Florida Folk Heritage Award" as well as the "Florida Individual Artist Fellowship in Folk Arts Award." James was the TG4 Irish traditional musician of the year, having been awarded the "Gradam Ceoil TG4 2006 Irish Musician of the Year" award in recognition of his outstanding musicianship and contributions to Irish music (TG4 is Ireland's Irish-language TV station). He has 18 albums to his credit and recently released his latest recording, "Melodic Journeys." He is currently working on a teaching DVD for fiddle students, as well as compiling his over 800 compositions for publication. He continues to tour with some of Irish music's leading accompanists. Máire Ní Chathasaigh (pronounced Moira Nee Ha-ha-sig) is "the doyenne of Irish harp players" (The Scotsman), “the great innovator of modern Irish harping, a player of outstanding technique and imagination” (The Rough Guide to Irish Music) and one of Ireland’s most important and influential traditional musicians. She was described by the late Derek Bell as “the most interesting and original player of the Irish harp today” and is the sole harper recipient to date of Irish music's most prestigious award, Gradam Ceoil TG4 - Irish Traditional Musician of the Year. She grew up in a well-known West Cork musical family who were active in the Cork Pipers' Club and was already proficient in a variety of other instruments by the time that she began to play the harp at the age of eleven. 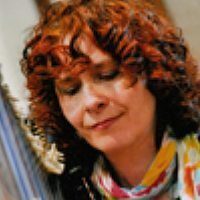 Using her knowledge of the idiom of the living oral Irish tradition, she developed a variety of new techniques, particularly in relation to ornamentation, with the aim of establishing an authentically traditional style of harping - “a single-handed reinvention of the harp”. 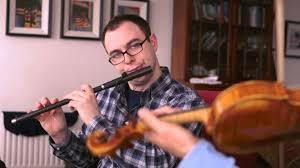 Seán Gavin's playing on the flute, whistle and uilleann pipes reflects his lifelong love for Irish traditional music. Growing up in Detroit, he was first encouraged to play by his father, Clare-born fiddler Mick Gavin. He tried a variety of instruments before finally settling on the flute at the age of eleven with the help of teacher Leo Mac Namara, a native of County Clare. Soon after that he began learning the uilleann pipes, studying with Al Purcell, himself once a student of the famed Dublin pipe maker and master piper Leo Rowsome. In more recent years Sean has been fortunate enough to cultivated a close friendship with Sligo-born flute legend Kevin Henry and others of the older generation of Irish musicians in Chicago, where he now lives. He enjoys teaching and performing throughout North America and Ireland and can be heard performing regularly with traditional bands Bua and Téada. Brian Ó hAirt's style of concertina playing reflects his love of West Galway, where he spent a good deal of his formative years involved with the Irish language and music community of southern Conamara--a district with its fair share of melodeon players, singers, and dancers. Understandably, his style mimics much of the phrasing, lift, and drive of melodeon music while clearly influenced by the concertina playing so prevalent in neighboring Co. Clare. Brían learned old-style Irish step dancing in his teens and not long after was exposed to the sean-nós dancing tradition of Conamara in western Co. Galway by dancers Róisín Ní Mhainín and Seosamh Ó Neachtain. This exposure inspired him to continue his burgeoning dedication to the Irish language (Gaeilge), and the sean-nós dancing and singing styles from that region. While living there in 2003, he became the first and only American-born prize winner at Cruinniú na mBád's sean-nós dancing competition held outside of Winkle’s pub in Kinvara, Co. Galway. Liz Carroll has had a remarkable century. Her 2009 recording with John Doyle, Double Play, was nominated for a 2010 Grammy, making Liz the first American-born artist nominated for playing Irish music – ever! On St. Patrick’s Day 2009, Liz traveled to Washington, D.C., to play for fellow Chicagoan, President Obama, at the annual St. Patrick’s Day luncheon. 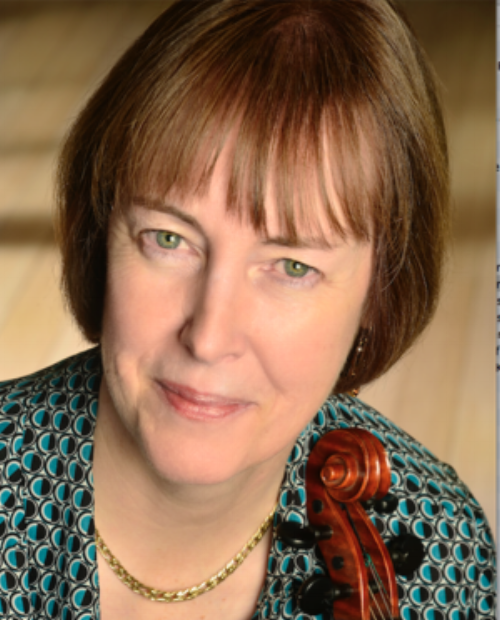 In 2005, she became a member of String Sisters, a sextet of fiddlers from America, Ireland, the Shetland Islands and Norway. Their 2009 Live album was shortlisted for a Grammy. All that has come this century, but in the last came a National Heritage Award Fellowship in 1994, which honored Liz as a "Master Traditional Artist who has contributed to the shaping of our artistic traditions and to preserving the cultural diversity of the United States." Dennis Cahill was born in Chicago to immigrant parents from County Kerry, Ireland. Displaying a keen interest in music from childhood, he started studying guitar at nine years of age. Throughout the 1980s and '90s, Cahill developed into one of the most respected and innovative guitar players in the world of traditional Irish music. He is perhaps best known in his long musical partnership with Irish fiddler Martin Hayes and is a founding member of The Gloaming. “Brilliant” (NPR) and “crucial” (Folk Roots UK) are some of the descriptions of his spare, essential playing. Laurence Nugent carries on a great tradition of virtuoso playing on both sides of the Atlantic. As a well-established performer and recording artist, he has performed with scores of top musicians including The Chieftains, Van Morrison, Martin Hayes, Arty McGlinn, Paddy Keenan. Laurence has toured extensively throughout Ireland, the United States, Canada, Europe and Japan. He has been a featured performer at most major Irish music festivals, including Milwaukee Irish Fest, San Francisco Irish Fest, the Glen Echo Festival in Washington DC, the Willie Clancy Summer School in Ireland, and the International Flute Festival De Cornouaille Quimper in France. His playing has been heard extensively on the radio both the US and Ireland including: National Public Radio, A Prairie Home Companion, The Studs Terkel Show, and Ireland’s national radio network RTÉ. Chris was born into an artistic family in Hertfordshire and began to play folk music on guitar at the age of four. He met the great swing guitarist and humourist Diz Disley in his late teens and played with him in folk clubs the length and breadth of the UK for a number of years. Diz was responsible for re-launching Stéphane Grappelli onto the world stage after a period of relative obscurity, and through him Chris had the good fortune to play with Grappelli’s band for a while. 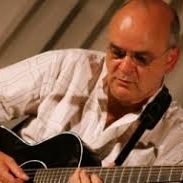 Chris still cites guitarist Denny Wright, then a member of Grappelli’s quartet, as the primary influence on his distinctive and melodic style of improvisation. In 1987 he established a duo with Irish harper Máire Ní Chathasaigh and together they’ve played in twenty-one countries and given TV and radio broadcasts on four continents. John Shine was born in Dublin and grew up on Chicago’s South Side. He learned fiddle as a boy, spending significant time with senior members of the South Side community of musicians, such as Phil Durkin, Martin Byrne, Áine Scully, Albert Neary, and Nancy Neary. He performs as a piano accompanist at the Irish American Heritage Center’s monthly céilí dances. Shine plays piano with Ceoltóirí Chicago, an ensemble that has forged a vigorous and lively sound for more than a decade, playing for set dancing events throughout the Midwest. Kevin has performed for over sixty years at local Chicago venues and in concerts. In 1950s he was a founding member of the Chicago chapters of both the Irish Musicians Association and the Irish Guild Players. In 1996 he appeared in the Goodman Theater's production of Eugene O'Neill's A Touch of the Poet with Brian Dennehy; in 1998 he released an album of music and recitations entitled One's Own Place - A Family Tradition, featuring his daughter Maggie, sister Verona, brother Johnny, and lifelong friend, Malachy Towey. In 2000, Kevin appeared at the Dublin Theatre Festival in Abhann Productions' The Well, "a unique marriage of music, song, dance, poetry, charms and prayer performed by a company of traditional artists from Scotland, Ireland, Canada and the US," devised by musician Tony MacMahon and director John Comiskey. In 2001 he was awarded a Fellowship in the Traditional Arts from the Illinois Art Council. In 2014, Kevin was profiled by the local PBS program Chicago Tonight, alongside Malachy Towey. 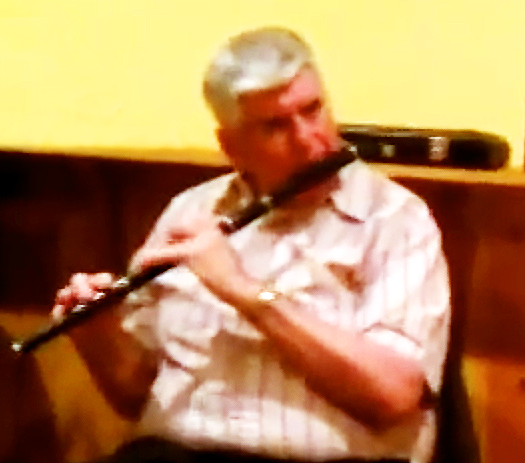 In 2016, Kevin's protege, Seán Gavin, was awarded the Bonn Óir Sheáin Uí Riada (Sean O'Riada Gold Medal) for the flute. In 2017, Ireland's TG4, the Irish-language division of the national broadcaster, aired documentary program on Kevin's life, filmed on location in Chicago in 2016. At the age of 88, Kevin continues to perform weekly at his session of Irish traditional music on the South Side of Chicago. Albert Neary, from Swinford, Co. Mayo, is one of the pillars of Irish music in Chicago. He learned most of his music from his father, who played both flute and fiddle. His uncle, fiddle legend Jimmy Neary, and aunt, the unparalleled pianist Eleanor Kane Neary, were host to some of Chicago’s most renowned Irish music gatherings, from around the 1940s onwards. Albert’s music is driven by a lively rhythmic pulse. His grace notes create an extra layer of intricacy to his playing, and are tastefully placed in order to drive the melody. His repertoire features old classics, along with more recently composed tunes. Albert has played and performed frequently in Chicago for decades. He is a longtime member of the Irish Musicians Association. Malachy Towey was born in Cloontia, County Mayo in 1920. His first bodhrán was handmade in 1930, a process which included burying the goatskin in lye in order to remove the hair. Cloontia is a mere 2 kilometers from the Mayo/Sligo border, and 15 Kilometers from Knockgrania, where the famous Coleman musical family lived. By the time of Malachy’s birth, legendary Sligo fiddler Michael Coleman was in the United States, getting ready to begin his recording career, through which he would become one of the most influential Irish musicians of the 20th century. However, Michael’s musical brother Jim Coleman was still living in Ireland; Malachy’s flute-playing brother Joe performed many times with the Jim, a renowned fiddler (apocryphally claimed to be even better than his famous brother Michael. It was Jim Coleman who gave Malachy his very first lesson on the bodhrán. Malachy's style represents the old style of bodhran playing, striking the drum with his fingers and knuckes rather than using a stick’ or ‘tipper,’ as is the norm nowadays. Also in opposition to modern styles, he refrains from using his left hand to modify the tone and pitch of the drum, choosing instead to emphasize the pure and complex overtones of the unfettered drum skin. In Malachy’s teen years, he moved to England to pursue work. He lived through the Blitz and spent a year training and fighting boxing with light heavyweight champion Freddy Mills. Malachy moved to Chicago in 1957, bringing his bodhran, possibly the first one to grace the Great Western Metropolis. For more than sixty years, Malachy has been a staple of Irish musical culture in Chicago, making an invaluable contribution to the culture through his music, his stories, and his character. Maida McQuinn Sugrue, from Ballymacelligot, Co. Kerry, is a singer and fiddler who has made her home in Chicago for many years. In the 1970s, she performed with Cuz Teahan, Mary McDonagh, and Úna McGlew, often appearing on local Irish radio programs. In 1985, she released "An Irish Country Girl," an LP featuring her singing, songwriting, and fiddling. A prize-winning singer from a young age, Maida is also one of the only remaining pupils of legendary fiddler Pádraig O'Keeffe. Maida has retired from performing but will be making a special appearance at the "How We Learned" concert on Thursday evening to share some stories and recollections. 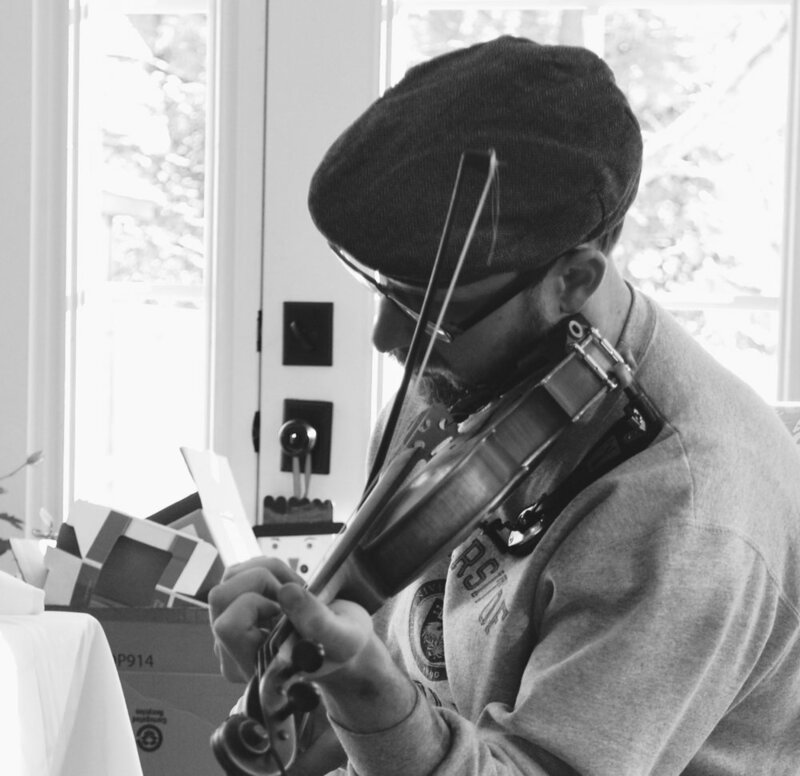 Devin Shepherd began learning the fiddle at an early age and soon became enamored with Irish music, which was nurtured by his mother who immersed him in the deep-rooted Irish music scene of his hometown of Chicago, Illinois. Devin was awarded an Illinois Arts Council Master-Apprentice grant to study with Liz Carroll when he was only twelve years of age. During this formative period he won first prize in the Midwest Fleadh Cheoil fiddle competition for nine consecutive years—another testament to his dedication to the tradition. Shepherd learned much about the styles and repertoire of Chicago by playing with many native born musicians including Phil Durkin, Frank Burke, Albert Neary, Pat Cloonan, and Úna McGlew. Most recently he has enriched his style through the recordings of legendary fiddlers Bobby Casey, Michael Coleman, and John Doherty, as well as living legends James Kelly and Paddy Cronin. Since 2000, Devin has been a full-time teacher and performer of Irish music throughout the US and abroad. In 2016, he founded the Shepherd School of Irish Music.